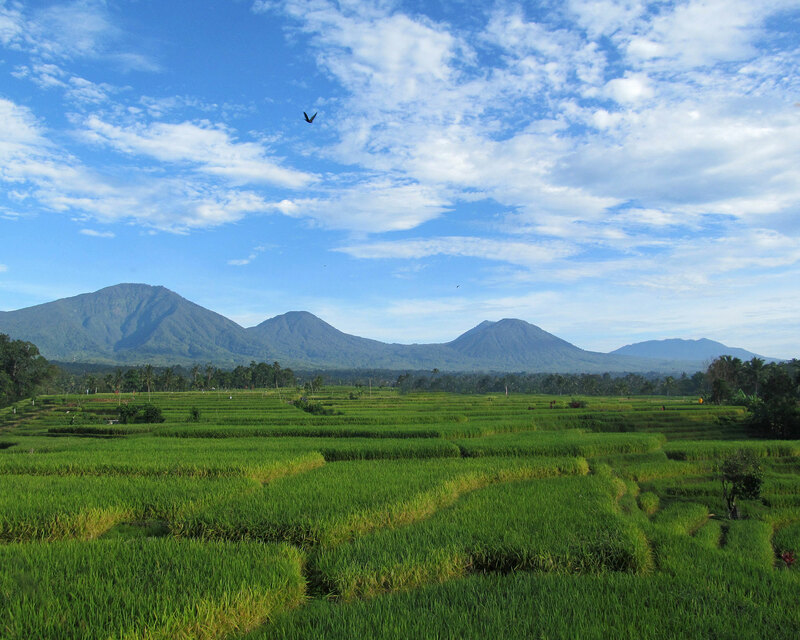 Surrounded by lush rice fields, jungle, healing hot springs and the sacred Mount Batukaru, guests at Bali Silent Retreat nourish body and soul and reconnect to the true self. 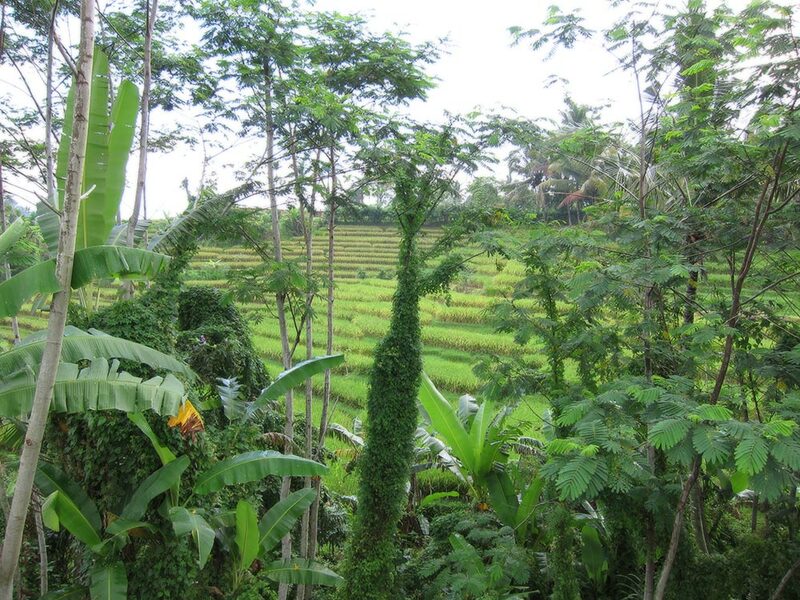 Bali Silent Retreat is a restorative and inspirational sactuary removed from the daily demands of life and committed to a way of living that’s sustainable from the soil to the spirit. Everything is meditation. Basic living is in silence . . . a silent approach to life-style. 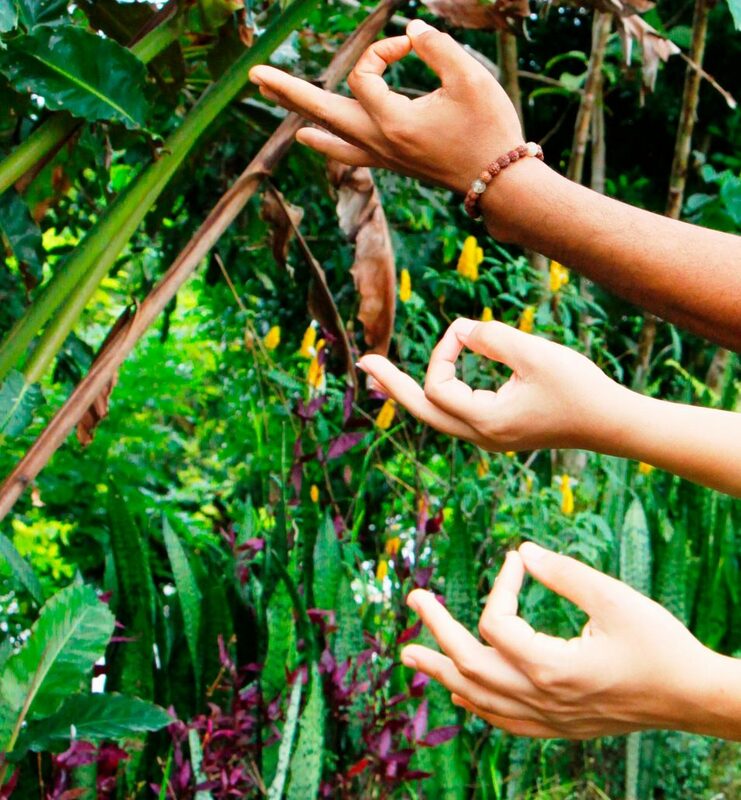 Days are spent dedicated to meditation, yoga, prayer and restful contemplation inspired by spiritual wisdom beginning five hundred years ago when an Ashram was first established where Bali Silent Retreat is located today. 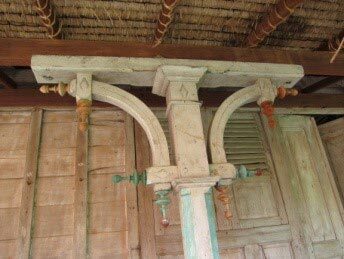 The structures are primarily from recycled timbers and antique Indonesian ‘jogolos’, with views of the rice terraces, jungle, and mountains at every turn, with open designs for allowing the breezes to flow. 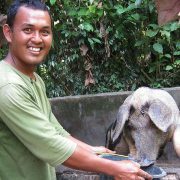 The Retreat was created by Patricia, and her Balinese business partner Sang Tu with a vision for sustainable living. Virtually from arrival, guests feel a spiritual and green-to –the-extreme commitment. 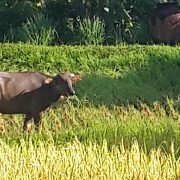 Sang Tu is committed to maintaining the ‘old’ ways, such as the medicine garden and using a buffalo to till the rice fields. 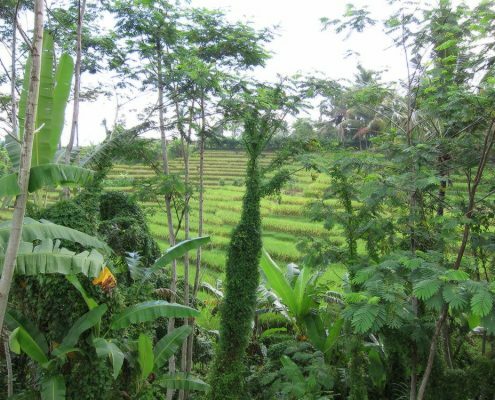 Every week he shares various Balinese cultural perspectives and the following day takes guests on a 2 hour walk through the rice fields, pointing out medicines, foods, and countryside details not normally available to tourists. All of this is seen and felt by guests at Bali Silent Retreat who are sometimes so overwhelmed by its silent spirituality that they release long pent up emotions by crying. There is even a ‘crying bench’ down by the river. WiFi free zone on most of the site. NO PLASTIC bottles allowed. 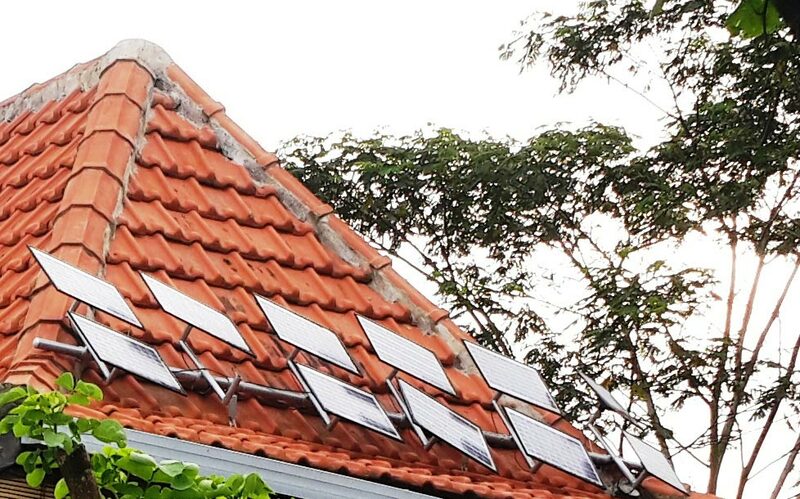 Unlike other Bali venues, who hand their guest a bottle of water, each guest at Bali Silent Retreat get a stainless cup which they can refill pretty much anywhere on site, with clean mountain water from their very deep well , which, although is not necessary, has also been treated with UV light and silver-charcoal filter. Garbage education for the local village, including removal and recycling of their garbage. Reusable containers for kitchen products. 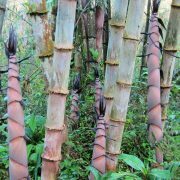 Weekly lectures and tours of the organic gardens and foraging forest and medicine garden. 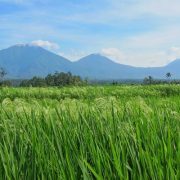 Bali Silent Retreat is vegetarian and for people who want to be healed and restored, healthy food and clean air and water is important. The kitchen and garden crews have created chemical free vegetables for growing familiar Western vegetables which are used in tandem with an array of edible plants the food forest, called ‘tegal’. 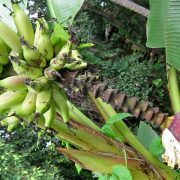 The edible plants are sustained by their eco-systems not by chemicals and include a comprehensive range of edible roots, leaves, herbs and fruits including potatoes, sweet potatoes, bananas, durian, coconuts, peanuts, cashew nuts, cassava, turmeric, ginger, lemon grass, cacao, berries, heritage rice and much more. Some of them are perennial and self seeding requiring very little attention from the garden crew. 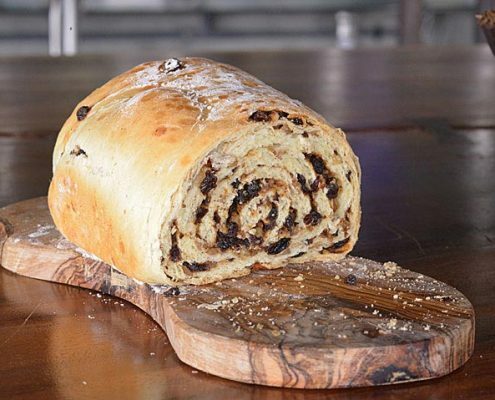 Some contain surprising amounts of easily soluable protein, are strong and contain the anti-oxidents needed to support the human body. 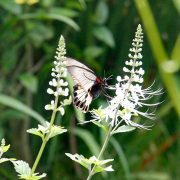 Dishes made from plants like this are served at Bali Silent Retreat and receive very positive reactions. When on the weekly tour of the foraging and perma-culture gardens, guests are encouraged to learn to listen to nature, not pollute and destroy it, achieving a closer relationship with one’s community in order to produce foods conducive to good health. They see how vegetables are fertilized by compost, not chemicals and sometimes reseed themselves in self propagation. Inside earth & ourselves is spiritual Eco-system that, although self maintaining, needs to be tended with love. Cover the soil (mulch with leaves or cardboard). Disturb the soil as little as possible. ‘NO TILLING’. Keep plants growing all the time to distribute and feed the soil through living roots. Diversify plants with ‘crop rotation’ or combining crops (plants that are friends). Manage the nutrients with compost, worms, and fermented organic additives. 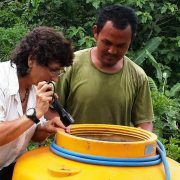 Bacteria feeds on organic matter, stores and cycles nitrogen and decomposes pesticides. Fungi fan out underground; 3000 species of fungi are in the soil, feeding on dead organic matter and parasites and grabbing nutrients & water for the plants, in exchange for carbon. Protozoa unlock nitrogen slowly to the plants. Mites decompose and shred organic matter, which is part of the nitrogen cycle. Earthworms create nutrient rich castings/fertilizer, as well as, lubricated tunnels that aid soil structure and water movement. Adapt to their environment and strengthened over generations so they do not require chemical support. 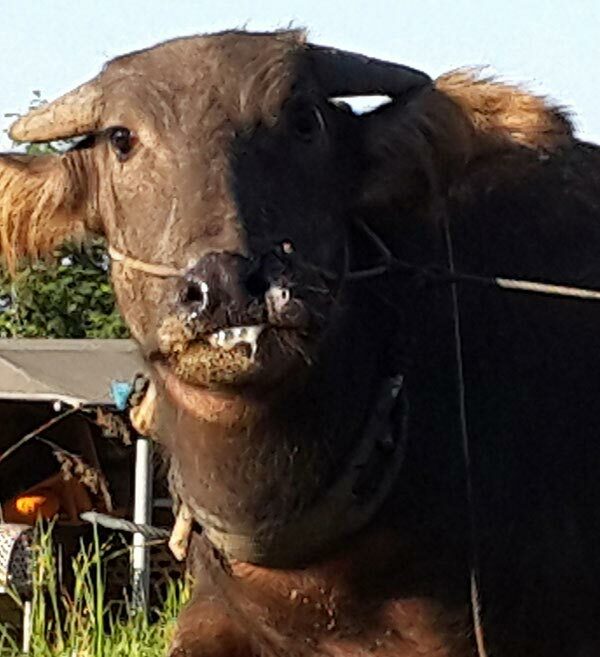 Reproduce themselves easily with chop & drop composting & cow manure. Grow in companionship with other plants and vegetables, ie tomatoes, cucumbers, eggplants, greens, which also drop their seeds and self propagate. Be shared with the community primarily as live baby plants; only occasionally as seeds. One of the main intentions at Bali Silent Retreat is that guests are inspired to make more informed choices about the foods they consume food, the way they live (electricity & garbage responsible), their spiritual connections to all (everything is spirit). When they return to their home country, they can make a difference, join like minded people, and help sustain the planet, 1 step at a time. love to live in some of our most beautiful and decorative plants. https://www.balisilentretreat.com/wp-content/uploads/2017/04/bali-silent-retreat-banana-flower.jpg 600 1200 balisilent https://www.balisilentretreat.com/wp-content/uploads/2017/02/bali-silent-retreat-logo-1.png balisilent2013-11-11 10:56:392018-04-27 09:04:05Go-Go Green BANANAs! 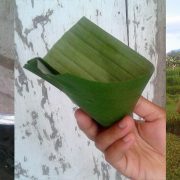 Banana Leaf cups at yoga room- disposable, sustainable, greeeeeeeen! At Bali Silent Retreat we care very much about these issues of health, wholeness, environment, aesthetics (ugly plastic bottles), and also, is it really necessary? –Come on!! We meditate and thoughtfully (as in ‘full of thought’) consider solutions in order to walk the talk. So we brainstormed over drinking fountains for the longest time, but alas, we have limited electricity (We’re Off the Grid – really off the grid – only 15KW of juice come in each day from our main solar panel source). 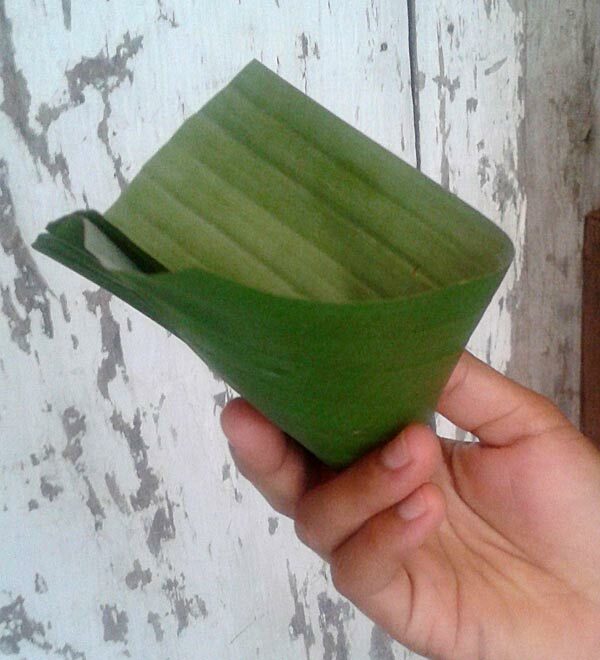 https://www.balisilentretreat.com/wp-content/uploads/2017/04/bali-silent-retreat-banana-leaf-cup.jpg 600 1200 balisilent https://www.balisilentretreat.com/wp-content/uploads/2017/02/bali-silent-retreat-logo-1.png balisilent2013-11-02 05:31:152017-07-31 15:37:41Banana Leaf cups at yoga room- disposable, sustainable, greeeeeeeen! They’re starting to build with Bamboo again. Edy has built a fence and the crew is discussing making a new roof for the ‘gudang tanki’ from bamboo (storage building for water water tanks). 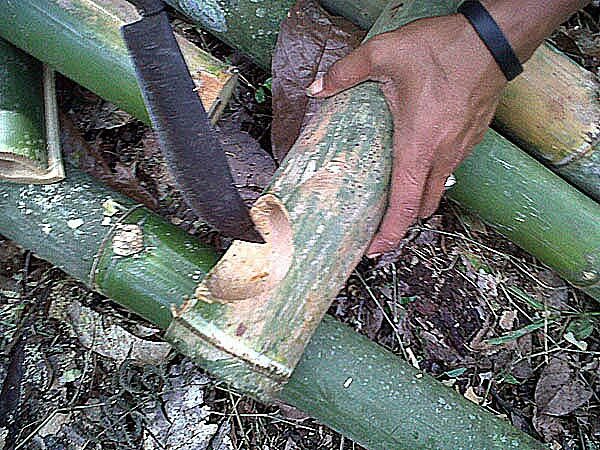 Click this photo and you’ll see a step by step video of our process, building a small bamboo shack built to keep the bibbitts (vegie babies) at Bali Silent Retreat. 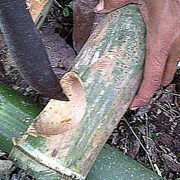 Our bamboo has not been treated, but just cut fresh from our jungle (with hacking knife, called a gergaji).